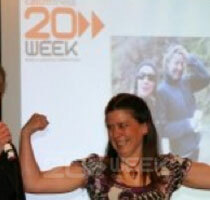 Paulette was the heaviest she had ever been when she entered the 20 Week Challenge. Over the 20 weeks she lost 10 kgs and made massive improvements to her strength going from doing 17 full push ups to being able to do 59! From doing no chin ups to being able to do 7.